It's nearly the Easter Weekend, yeah! Which means hopefully for most of you a relaxing weekend ahead and for those who have to work, good on you and hopefully you will get a bit of time off soon. As its a loooooooong weekend here in the UK, I thought a little post about relaxing would be quite nice and a little different for a Thursday. So, what do you say about me giving you some ways to relax and have fun this weekend? 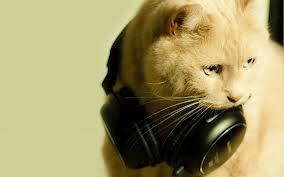 I love my music and there is always a song or album which can invoke so many emotions for me. I know what types of music relax me and those which bring back a flood of memories. So this weekend I am going to sort through my ever growing music stash and sort it into playlists on my Ipod. Something which I have been meaning to do for ages! You could always put all the songs together which relax you the most and pop them on a CD for yourself or a friend. I love getting gifts like this as it show how someone really knows you and its so simple and quick to do. You could go to spa this weekend, or try a few techniques at home. I am not a spa person and I am a bit odd as I find Showers relaxing, unlike the usual Bath to relax in. But I understand that Spa's can be amazing, have a massage or maybe a pedicure, to treat yourself aswell. As for the home, run a bath and put on that music CD you just made, maybe a few candles (also not a fan of these - I am clearly not a traditional relaxing options person). You could always go buy yourself a few new products to pamper yourself with. Tell the kids, partner or housemates to leave you in peace and have 20 minutes or so to yourself - or until the bath water goes cold or you go wrinkly. Choose a quiet place where you won't be interrupted. Before you start, do a few gentle stretching exercises to relieve muscular tension. Make yourself comfortable, either sitting or lying down. Start to breathe slowly and deeply, in a calm and effortless way. Gently tense, then relax, each part of your body, starting with your feet and working your way up to your face and head. Push any distracting thoughts to the back of your mind; imagine them floating away. Don't try to relax; simply let go of the tension in your muscles and allow them to become relaxed. Let your mind go empty. Some people find it helpful to visualise a calm, beautiful place such as a garden or meadow. Well, I wouldn't be part of this blog if I didn't find this relaxing. Make something from scratch or something you have been meaning to do for a long time. I am going to get started with a dress I have been meaning to make for ages. There is something so nice about the gentle hum of the sewing machine plodding along and making something which I know I will wear, makes me happy. You could learn a new skill perhaps, try looking on You Tube or check out some of our Tutorials for some new things to learn this weekend. I need to get on with making some wedding cards for this year's batch of weddings, so I think I am set to go. Reading a book or watching a movie. I find that I can wyle away quite a few hours doing both of these and as we have a 4 day weekend, I think you should be able to do both at some point. Pick up a book from the library or shop (charity shops are also good places) and give yourself the excuse to read more than a chapter of it. 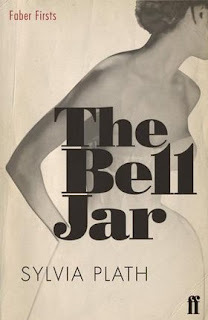 I have been recommended The Bell Jar by Sylvia Plath and so I am going to try and pick up a copy this week to start on. I also love a good movie and so I am thinking of re-watching Forrest Gump as its my all time favourite film and I haven't seen it in a while, so why not! Either that or as it's the Easter weekend, I am sure there will be plenty of movie's on to catch. I think that you should be able to find something here to keep you occupied this weekend and now you know what I will be up to, what's on your weekend plans? and what do you do to relax? let me know in the comments below.